At Encore Consign + Design, we are proud to offer a series of interior design services that can make it easier than ever before to create your dream home. Our staff is composed of talented interior designers that can assist you in the purchase and design of your space. No matter if you are looking for casual assistance or something more comprehensive, we are eager to help you create the home you have always wanted. At Encore, we have a staff of interior designers in house and a network of connections to local, reputable designers in the Coachella Valley. We can assist you in staging items in our showroom to ensure you find exactly what you need without making any commitments. If you need design assistance in your home, we can help connect you to an interior designer close to your home. Your utmost satisfaction is our number one priority. Click on the button below to get started! From the moment you step into our showroom in La Quinta, you’ll notice a difference. 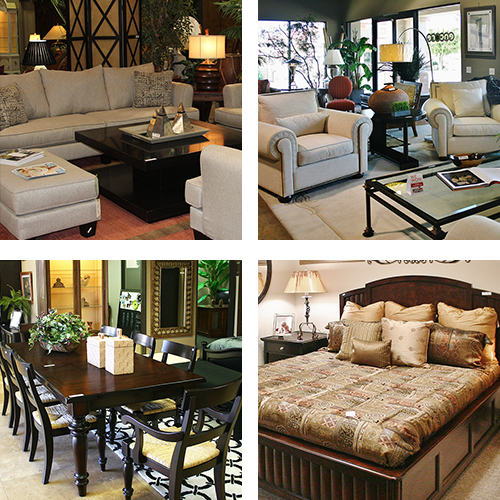 Our showroom spans over 23,000 square feet and is full of elegant, yet practical home furnishings. From eclectic living room decor to gorgeous bedding to elegant dining room tables, we have it all and more. Our collection of home furniture and decor caters to a wide variety of budgets and styles. For an exceptional shopping experience, we invite you to visit our showroom today.